In his latest blog post, Dolphin ICT’s managing director Russell Till takes a look at how the Doncaster-based IT company is playing a part in major music and entertainment events. Tell anyone you work in IT support and it’s unlikely they’ll associate your job with music and entertainment – yet here at Dolphin ICT that’s one of the many services we offer. Now before you get too excited, I don’t mean we can sing and dance on demand, of course. But while holding a note certainly isn’t a part of our repertoire here at Dolphin, keeping the IT in tune at major events certainly is. 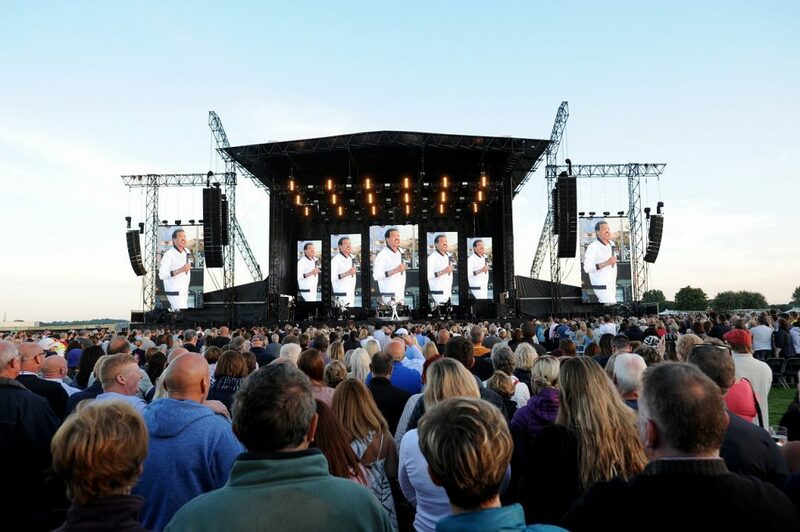 Through our work with Lincolnshire Showground, we’ve provided many elements of support services for acts including the legendary Lionel Richie. From ensuring the celebrities have access to fast WiFi across the venue, through to setting up CCTV cameras to ensure the safety and security of the many thousands attending the events, our team plays a vital role in making the music happen. We’ve worked with Lincolnshire Showground for a number of years now and recently completed a major refurbishment of the venue’s IT systems. Speaking at the time, Jayne Southall, CEO at Lincolnshire Showground, said: “Because of the ease of use the system has been readily adopted by our management team and is now being accessed by events who use the site, including the security services at major events like concerts. It’s a great experience working on such high profile events, delivering our IT support services while rubbing shoulders with the stars.